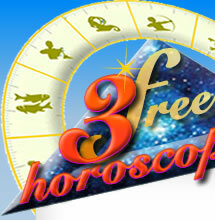 a click away from your online horoscopes ! AstroQuick.fr : logiciels d'astrologie et études astrologiques personnalisées. Astro-Quick.com : Astrology App software and personalized astrology reports. Patrick Giani : Astrologer and writer. Association Jupitair : french astrology courses. Editions Jupitair : french astrology books. 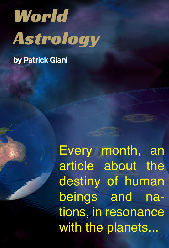 World Astrology : by Patrick Giani.